Thomson Reuters is not responsible for the content of this post – the views are the author’s alone. Health authorities in China reported this week that nearly 53,000 children have become sick after consuming tainted infant formula. As the effects of these contaminated dairy products become more widespread, many are discussing the alternative to formula — breastfeeding. The scandal erupted earlier this month when Sanlu, China’s top-selling infant formula manufacturer, publicly recalled its products. The baby formula was deliberately contaminated with melamine, an industrial chemical that can cause kidney problems. Since then, thousands of children have become sick and the milk powder has been blamed for the deaths of four infants. The crisis has not only raised questions about food safety, but also about why so many children are being fed formula in the first place, instead of being breastfed. Thanks to its numerous health benefits, the World Health Organization recommends that children be breastfed exclusively for the first six months of life. However, despite a long tradition of breastfeeding in China, rates have declined as more mothers turn to milk formula. The rates of exclusive breastfeeding during an infant’s first four months decreased from around 76 percent in 1998 to 64 percent in 2004. At six months, the percentage of babies being exclusively breastfed is only 51 percent. Some say that this push to use formula comes from doctors themselves. This despite the fact that China has banned the promotion of breast milk substitutes in hospitals since it launched the Regulation of Human Milk Substitutes Distribution in 1995. One article claims that almost 63 percent of babies receive formula in Chinese hospitals anyway. 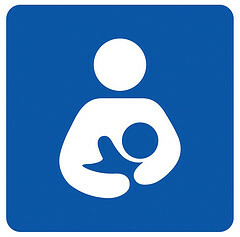 The same regulation also says that doctors must promote the advantages of breastfeeding. kakb2006, quoted from Hong Kong’s newspapers, points out that working can be an especially large obstacle to breastfeeding for migrant workers. This article was originally posted on Global Voices Online, a website that tracks global blogger reactions to world news. Financial Crisis: has the world changed? I was 1 of those mothers who was unable to breastfeed and it was a terrible and traumatising three weeks for me and my first born child. When I had my twins I persevered for 6 weeks until they got sick and I got mastitus and it was absolutely terribly, both the expressing and the illness. I did not feel the bonding experience that ‘all mothers experience when breastfeeding’, all I felt was pain, wet, and that my baby was not getting enough. When I put my babies onto a soya formula they thrived. But this is my experience and I would not push bottle feeding onto a breastfeeding mom who is enjoying the experience and her baby is thriving. My babies did not latch correctly and I blead and was in terrible pain. So the moral here is PLEASE DO NOT JUDGE THE MOTHER, HELP AND ASIST HER IN HER VULNERABLE TIME OF NEED. It is the companies the distribute the formula with poison that should be judged.